A reliable file transfer service is a vital piece of this digital B2B ecosystem for many companies across all industries, supporting mission-critical business operations seeking to avoid missed SLAs with business partners. However, even the most stable platform to manage the exchange of data between the partner ecosystem and the internal ecosystem will not avoid external factors that lead to file transmission issues. For example, partners may have processing challenges preventing a critical file from arriving. Or your internal system could have processing issues on your side. As the data exchange volumes increase, so does the need to have an efficient monitoring solution that avoids the need for large labor-intensive operations teams to keep track of the activity. Think about what the effect an undetected issue has on the partner’s side: a missed pick acknowledgment on your order, a system outage missed on a partner transportation system, a missed payment, or missed insurance approval of your prescription. Wouldn’t you want to know about these failures now as opposed to after the fact? Wouldn’t you want to know when the expected volume of files is uncharacteristically low or high? Knowing about this immediately allows you to make processing adjustments now to prevent a poor customer experience while reducing operational costs and capturing revenue that would otherwise be lost. Embedded Analytics for SecureTransport is an analytics accelerator powered by the AMPLIFY™ Decision Insight Operational Intelligence (ADI) platform offering immediate time to value via pre-built content with the flexibility to expand tackling larger business operations monitoring challenges. The pre-built content includes integration to Axway SecureTransport, a pre-configured data model, 4 defined user roles and a number of pre-configured dashboards. The install and configuration are complete in hours so the value can be achieved immediately. With Axway’s Embedded Analytics for SecureTransport (EA for ST), you can now provide a self-serving operational analytics platform to the file exchange stakeholders. With the packaged set of web-based dashboards and/or interactive RESTful APIs, business stakeholders can track their file transfer activity so that the control shifts from IT to the owners of the file transmission service. Additionally, the embedded analytics service is designed to look for potential issues before they have a business impact. This is accomplished by learning historical data exchange activity and constantly looking for “abnormal” patterns. For example, your corporate client normally sends 13 payment files between 9 am and noon on Friday and each file is 3 MB. Today it is 11:30 am and zero files have been received or 13 files arrived, and the total size is than 100KB. Business stakeholders can now work with their business partner ecosystem to address file exchange issues before they become an impact to the business. This provides tremendous opportunities to improve customer satisfaction and avoid SLA breaches. EA for ST is packaged with four defined and configurable roles: global admin, delegated admin, global relationship manager and business unit relationship manager. Leverage the admin roles to monitor infrastructure availability, responsiveness and reliability. Leverage the manager roles to monitor internal and external partner volumes, SLAs and deadlines shifting responsibility and self-service to key business stakeholders while freeing time for key IT resources. Each role is modifiable via web-based configuration to adjust to your organization’s needs. One of the most frequently asked questions that consumes a lot of operational bandwidth is answering “where’s my file?”. This request can come from the business, your application teams and even from partners/customers. The question triggers a reactive search through logs and sometimes multiple monitoring tools which often takes hours to days to address. The Transfer Search dashboard provides a user-friendly way of locating individual files and events based on filtering criteria such as transfer type, business unit, protocol, and more. This dashboard is designed to alleviate the strain on IT and provide self-service to the key business stakeholders such as business operations, customer service and more. In case of a problem, business operations can navigate seamlessly through time to rewind and replay a specific period and discover what, when and where the issue happened. A natural next step includes drilling into the file to inspect the Transfer Detail which includes processing history of the file. These easy-to-use interfaces streamline finding the answers to file-related questions. They are available to operations, customer relations, and can be extended to business users, application teams or even partners, providing each of them with self-service answers. 2. Which files are at risk of missing an internal or partner-related deadline or SLA? Managing deadlines and service level agreements (SLAs) is vital to positive customer experience, revenue generation and lowering costs. At the global and business unit level, Punctuality checks can be configured to monitor important files, displaying the number of files and the partners impacted with important deadline information. When drilling on the rule configured, a list of completed and late files is shown by a partner, showing current state, protocol, time and file size. By seeing this information in real-time, business operations can consider alternatives for downstream processing and/or partner relationship managers can alert partners of potential lateness immediately as opposed to well after the fact. 3. How do I know what the expected volume is? How do our processing volumes today compare to expected volumes? At the global, business unit and partner level, overall daily volumes can be closely monitored in real-time. Proactive monitoring of volumes is critical to operational costs, deadline management and the customer experience. Embedded Analytics comes pre-configured to observe and learn “normal” volumes by leveraging statistical means and apply dynamic thresholds based on standard deviations from the mean. When actual volumes are trending outside the normal, notifications can be fired off to the appropriate observers. Abnormally low volumes can be attributed to exchange issues on your end or possible processing issues on the partner’s end. Notifying the partner ahead of time about abnormally low volumes can strengthen the relationship and help catch a problem sooner before impacting downstream deadlines. Above normal volumes directly impact capacity planning and deadline management. By knowing this information proactively, companies can alter schedules, change distributors or routes to complete the customer’s order timely. At the partner level, the Watched Accounts metric alerts the Global Relationship or Business Unit Relationship Manager of individual partners that are trending above or below normal. You can drill from the partner to the Watched Account High/Low Volume dashboard to visualize actual vs learned normal volumes and see a breakdown by transfer file size. 4. How many file transmission failures do we have now? Where did it fail and who and what is impacted? Failures can be monitored globally, at the business unit, partner and file transfer level giving the observer a complete view with appropriate context by instance, protocol and more. Identifying the context of the failures has a direct business impact to timelines and operational costs. As shown above, the global administrator knows immediately how many failures are happening right now. Some failures can be expected but a large volume in each period could be a cause for concern. The Embedded Analytics solution detects when a volume is higher than normal and notifies the appropriate resources. To help determine the impact, users can see a breakdown by top business units and account partner type. By drilling on the business unit, a further breakdown shows additional context at the partner level, protocol, ST instance and file transfer level showing the important detail of each transfer. Visual trending of the amount of completed vs failed transfers throughout the day helps you better understand the peaks and valleys. 5. How can I easily review the audit trail or processing history of a file transfer? Is the transfer in processing or in failure? What processing steps are completed, when and how long did each take to complete. Don’t stop at your gateway, EA for ST is powered by AMPLIFY Decision Insight (ADI) which allows you to integrate with many other types of systems including APIs, message queues, databases, files and logs. It provides situational awareness across these systems with IT and business context needed for payment, supply chain/logistics, claims and workforce monitoring, etc. Visualize across systems and business steps to better understand where, how many and how long files, orders, payments reside. By highlighting these inefficiencies in real-time, businesses can investigate the how, why and what to make appropriate changes to avoid negatively impacting the customer and/or partner experience. Take advantage of the built-in temporal engine to automatically synchronize events from disparate systems to get a complete picture of the file, order, payment. Leverage the built-in time navigation, which works much like your DVR to see live action, rewind time to better understand breakdowns with associated context and drill into the audit trail for a complete history. Increased visibility to breakdowns leads to increased efficiencies going forward. 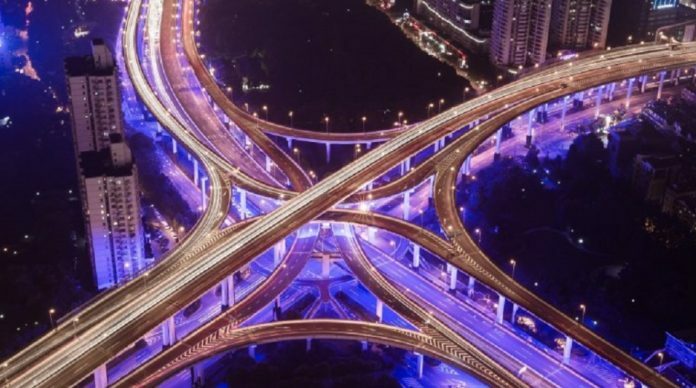 With Axway’s Embedded Analytics for Secure Transport, administrators now have a jump start on their file transfer operational intelligence journey. They now provide more self-service to the business teams. They now leverage the ADI platform to increase visibility and situational awareness across the ecosystem. Axway has helped many companies in the financial services area to monitor checks, wires, high-value payments, and SWIFT. Axway’s Supply Chain customers monitor the order fulfillment process, retail restocking operations and B2B file transmissions.